The diagram below can be used to estimate power vs. amps and voltage when charging electrical vehicles with DC or single/three phase AC current. print EV - Electrical Vehicle Charging Diagram! 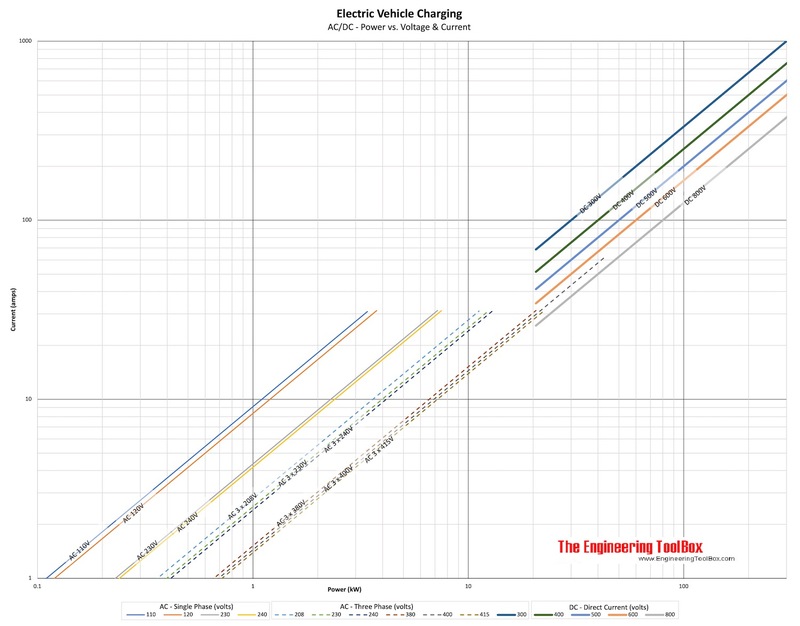 print typical EV - Electrical Vehicle Charging Stations Diagram! From the diagram above - a small single phase AC 230V 16 amps charging station can deliver max 3.7 kW. Current battery systems for electric cars typically use voltage levels between 200 and 800 V.
From the diagram above - a DC 400 V 125 amps fast charger can deliver max 50 kW. 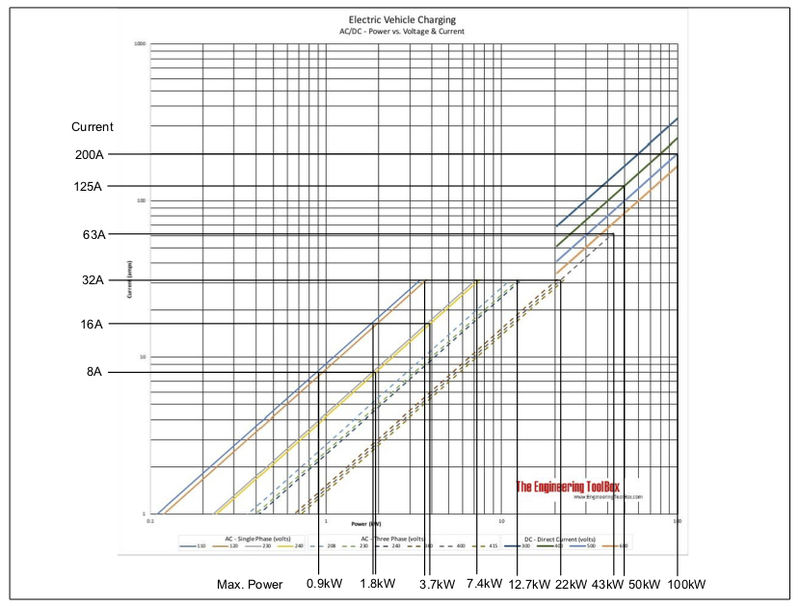 The nomogram below can be used to estimate power vs. voltage and ampere.